We're sure you've already dissected in-depth a lot of the layers that came with this now iconic horror film, THE BABADOOK, a true gem in suspense thrilling, and the painting of a dark picture designed to go into detail of the human psyche, specifically regarding grief. Yes, it's true: the movie's about grief. Plain and simple. 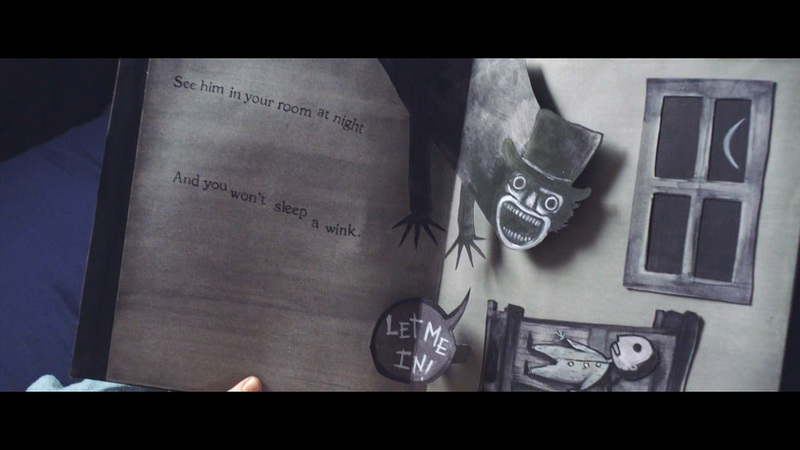 But who knew there were three other interesting facts about THE BABADOOK you never thought you'd pick up on? The Word "Babadook" Is Actually an Acronym -- Look at the name a lot closer, and you'll realize that it's just a clever way of saying "a bad book." Yes, indeed. It was a baaaad book. Surprisingly, the Name "Babadook" Also Stood for a Slavic Name in Folklore -- Before you start thinking that it was just a 'made-up' name or acronym (which it technically is), the fact is there's some lore based out of it, derived from the slavic term "babaroga," which has been identified as the mythological Slavic witch preying on children: Baba Yaga. The Producers of the Film Did the Oddest Thing to the Books on Set.... -- Prepare yourself to be a little weirded out, but in a certain way, we sometimes lend power to the things we fear the most. It turns out that after each filming session of the movie, they would lock away the books (there were four handmade pop-up books used for the film) until the next take. Why? To "protect" young Noah Wiseman, the actor who portrayed young Samuel. We're willing to bet you can dig up other juicy tidbits about any great horror film out there, lending not only credibility to the filmmakers, but the story itself. 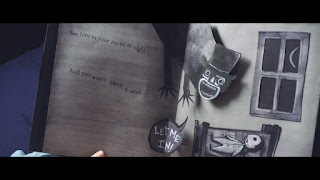 THE BABADOOK clearly scared the ever-loving HELL out of me, which I loved, arguably affecting me much more than even films like SINISTER or INSIDIOUS, also tremendous in their own right. It's when you realize that, that you know you have a timeless masterpiece on your hands -- and one you'd definitely want to lock away somewhere when not popping in the DVD player.